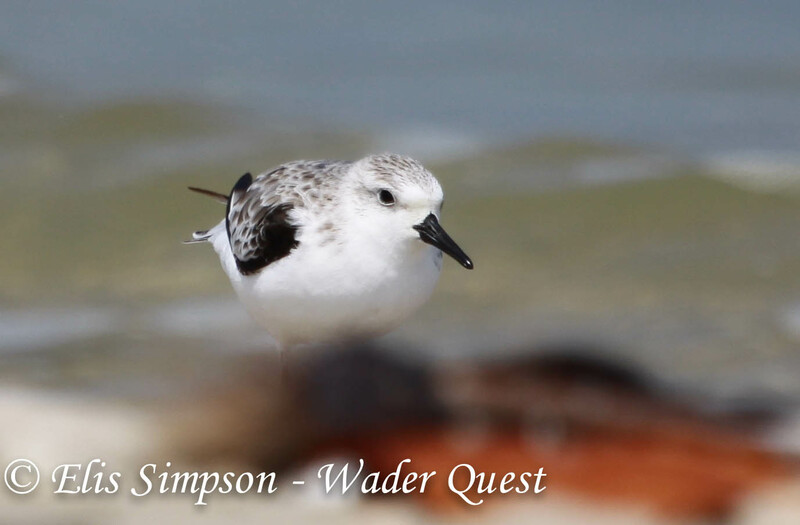 Wader Quest: Early date for returning Sanderling in Ireland. 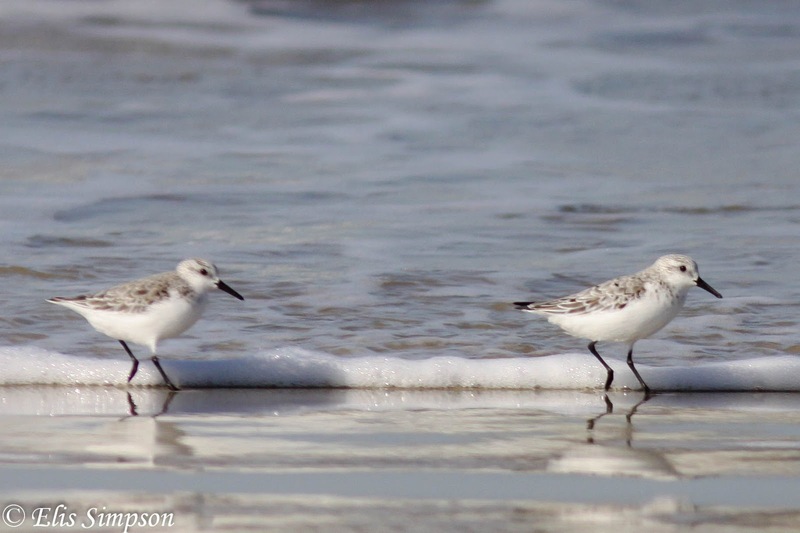 Early date for returning Sanderling in Ireland. 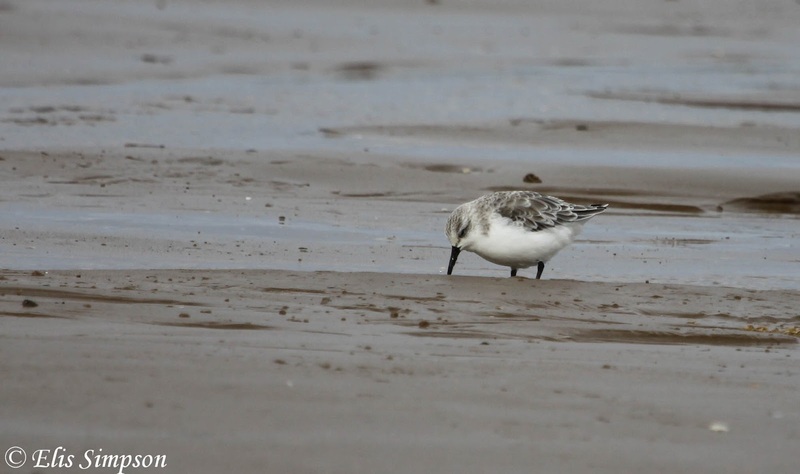 Niall Harmey reports from County Louth, Ireland that on the 4th of July he recorded an adult Sanderling a full week earlier than his previous earliest record. Sanderling Calidris alba; Gwynedd, Wales. September 2012. 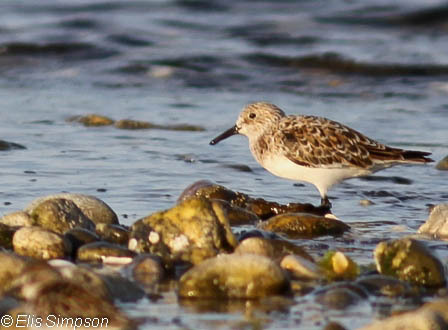 There have been some over summering Dunlin on the beach which is well watched, so it is not likely to have over summered there and been overlooked. Sanderlings Calidris alba; Western Division, The Gambia. January 2014. The birds that migrate through the UK and Ireland are from eastern Siberia and Greenland. It is thought that most birds return to the breeding ground in their first year, but also that a small number may only partially migrate. If this bird was one of the latter it would probably have been seen before, these bird show a great deal of site fidelity on breeding, wintering and stop over sites. The most likely explanation is that it is a failed breeder that has given up for the year. Sanderling Calidris alba; Rio Grande do Sul, Brazil. October 2013. There has been a lot of talk in the media about Mother Nature getting ahead of herself this year, is this another example? Sanderling Calidris alba; Phetchaburi, Thailand. November 2012. Has anyone else noticed waders returning early? Have other birds been sighted in Ireland already? If you have seen early returning waders or anything you want to add to this discussion either do so on the comments at the bottom of the page or send us an email to waderquest@gmail.com. Sanderling Calidris alba; Connecticut, USA. May 2012. This series of photographs illustrates the global distribution of this species, it can be seen on every continent (except Antarctica).